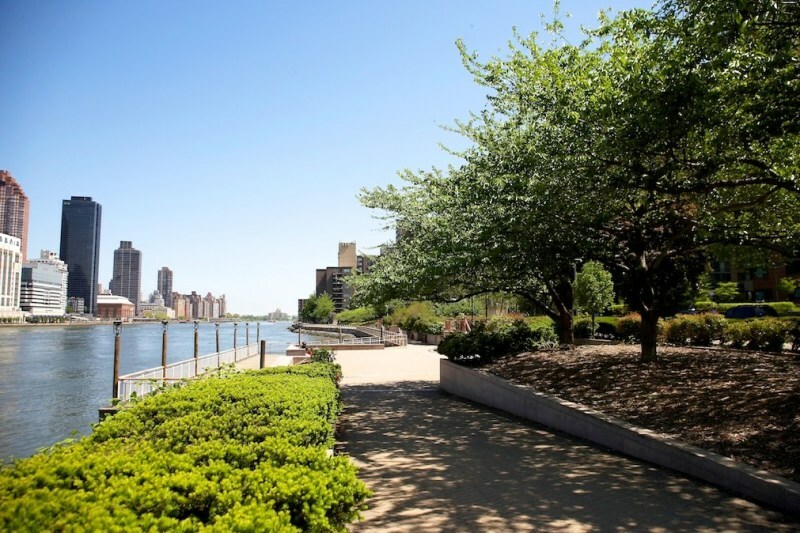 "Small, Quaint Island Off The Coast of Manhattan"
Roosevelt Island is one of the city's best kept secrets. Most New Yorkers never really remember it's there and the ones that do don't think twice about it. Actually, Roosevelt Island is a great place to live if you want to be closer to the city but don't want to deal with living in the city. At the same time, you have to cross the East River to get into the city which makes it more of a small outer borough. Still, the prices are very reasonable and the area is simply lovely. 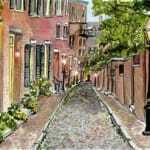 It's very quiet, good schools, nice apartments, and it is easy to commute into the city. There is no traffic like in Manhattan and it is never crowded. 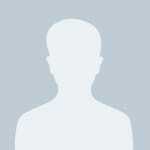 At the same time, there is nothing to do there. There are few places to shop or get food and certainly nothing to do at night. For visitors, both locals and tourists would have a great time on a short trip to the island. It is very easy to get to and has some beautiful parks, views, and architecture. It is a good place to get away from everything going on in the city. It is also one of the safest parts of New York and the area is almost exclusively middle class and there is only about 10,000 people living here. Roosevelt Island has three things going for it, and each one appeals to a different group of people. 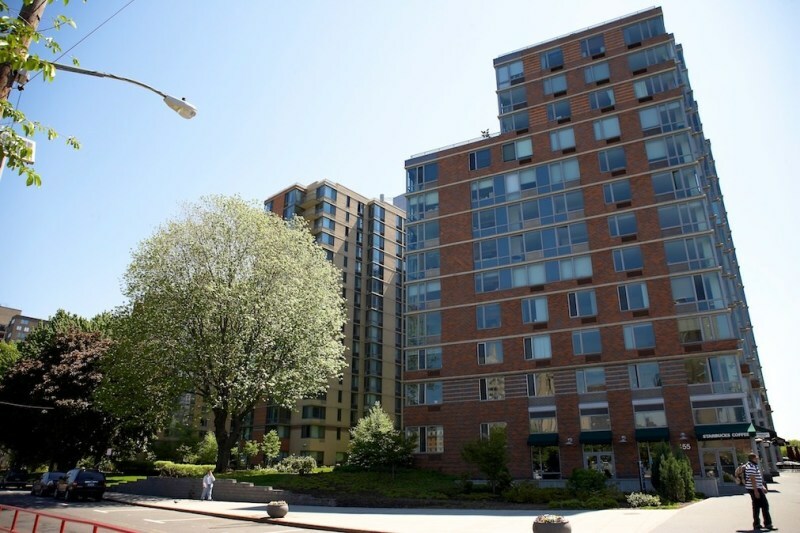 For those who want to live in Manhattan but need more affordable rents and are willing to sacrifice the convenience and liveliness of the city: Roosevelt Island has spacious apartments at low prices. 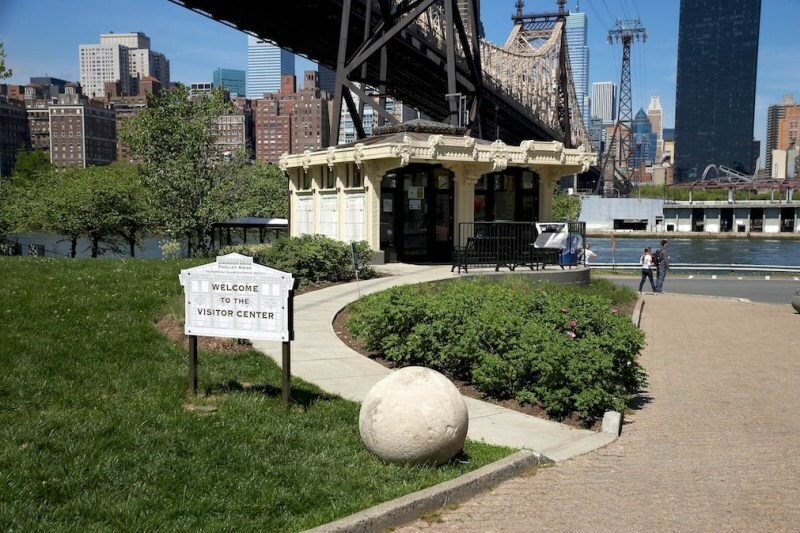 For those who live in New York and are looking for an interesting, one-time day trip: Roosevelt Island has great views of the city and the river, plus tons of history to walk around and take in. 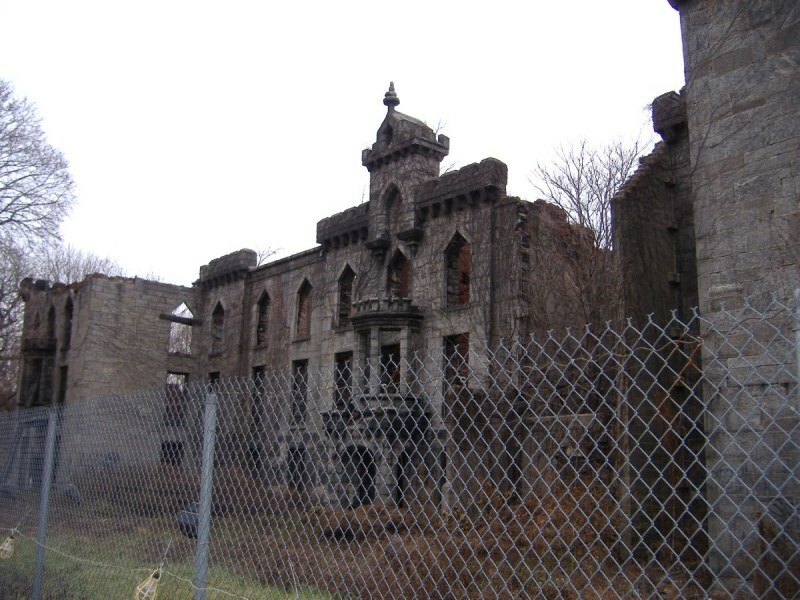 For those with a bit of a dark side: Roosevelt Island was home to mental hospitals and other such institutions - most of which have since been knocked down, but you can still sneak around to explore the eerie old smallpox hospital. Roosevelt Island is almost exclusively residential. There are a few conveniences, like a Duane Reade and Starbuck's, because how ridiculous would it be to get on a subway - especially the unreliable F - or a tram to get a cup of coffee? But that's just what residents have to do if they want to go to dinner, go shopping, go to a bar or do just about anything. The tram is a cool thing to do once as a New Yorker (plus it takes MetroCards) for the sake of the view, but I imagine it gets old for residents who probably wish there were more subway lines than the F so their choices weren't between that and this tram. 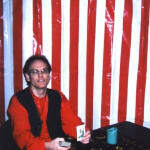 The pluses of living here would be left at the rents, some parks and the medical facilities that still stand. "Two Short Miles of People and Buildings"
If you want to visit a small island in the East River, Roosevelt Island is a good place to go. It's formerly known as Welfare Island. Later the name was changed to Blackwell's Island, until finally the island was officially named Roosevelt island. 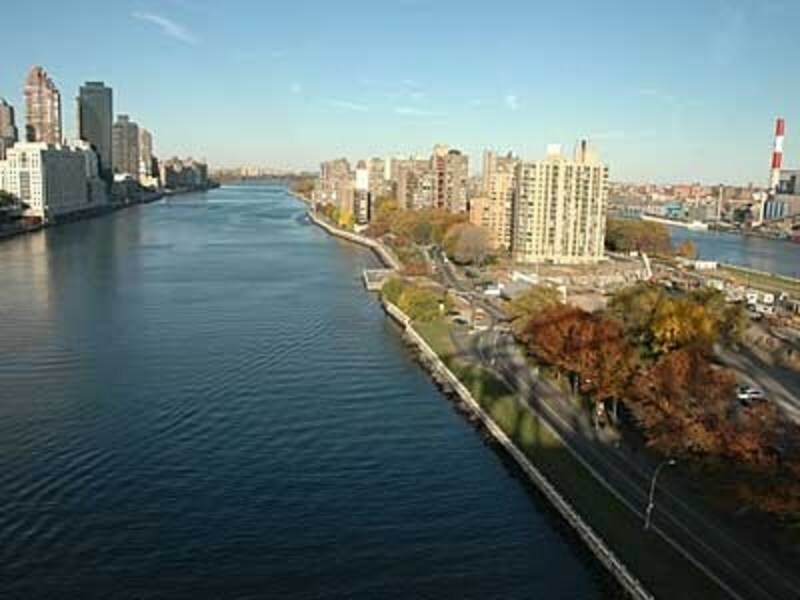 Roosevelt Island is a narrow strip of land about two miles long and about 800 feet in width. The island stands on a total of 147 acres. The island lies between Manhattan and the borough of queens. If you were to sit the island next to Manhattan it would run from East 46th St to East 85th St. The city of New York currently owns the island. But they leased it to the state of New York's Urban Development Corporation in 1969 for 99 years. 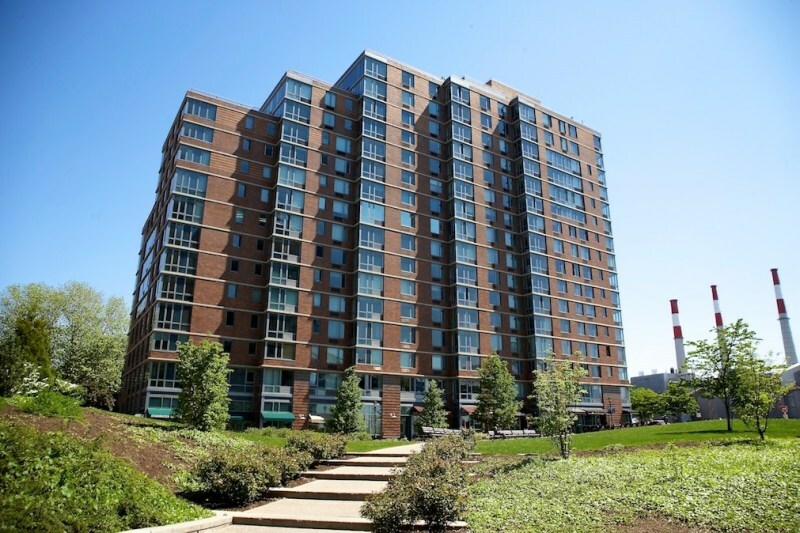 If you go to Roosevelt Island, the most you would see are residential buildings, which are rentals. The place has no stores. It is strictly a place for people to live. They take the tram to Manhattan. People can also take the IND 63rd Street Line to the island. Roosevelt Island does not have many cars. People get around by use of the Q102 bus. Basically, Roosevelt Island has nothing much to offer except living conditions if this is what you want. The land itself is quite breath-taking, as many areas are kept clean. RJL The reviewer has under-rated Roosevelt Island on far too many counts. Neighborhood spirit, safety, child care, schools are all better than indicated. 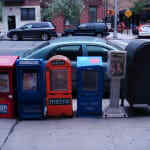 For better and more complete information, check the Roosevelt Island newspaper on line: http://nyc10044.com. "Roosvelt Island- The Big Apple's little Apple"
Roosevelt Island is a two mile long island that lies between the boroughs of Manhattan and Queens. This island was originally purchased by the Dutch settlers of New York City from the Canarsie Indians. They then went on to change the name of this island from “Minnahononck” to “Varcken”. Over the years it was also known as Blackwell’s Island and Welfare Island as located here was a prison, lunatic asylum and a small pox hospital (the ruins of which still stand on the southern point of the island) on the island. It is believed that the sick and the insane were once sent to Roosevelt Island however today the occupants of the high rises on Roosevelt Island are mainly U.N. staff given its proximity to Midtown Manhattan which is the location of the U.N. The initial development on Roosevelt Island consisted of subsidized living as developers were given tax breaks by the City to build on the island. 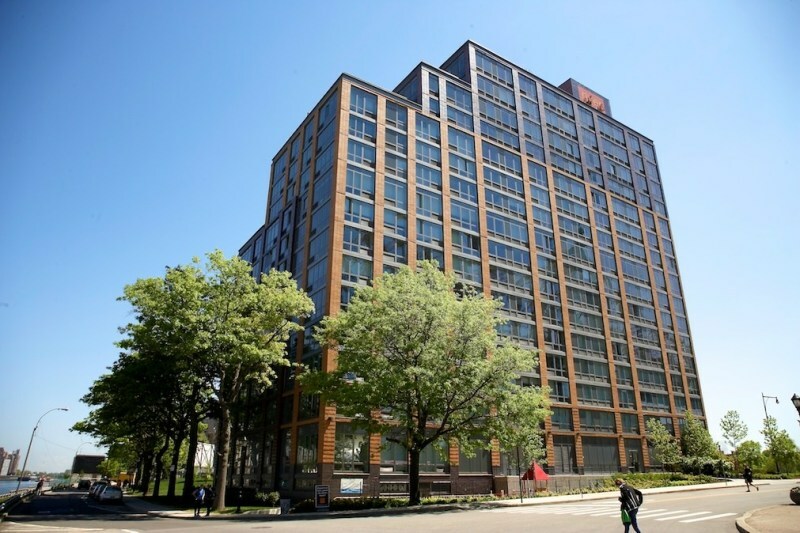 Today the real estate scenario on Roosevelt Island consists of high rise co-ops and luxury rental buildings which afford gorgeous views of Manhattan and the East River. However the island’s developments surprisingly don’t have much individual character. They are built in a standard, uniform almost soviet-like pattern. Prices of apartments located here are also not much less than Manhattan even though the island is rather insulated. 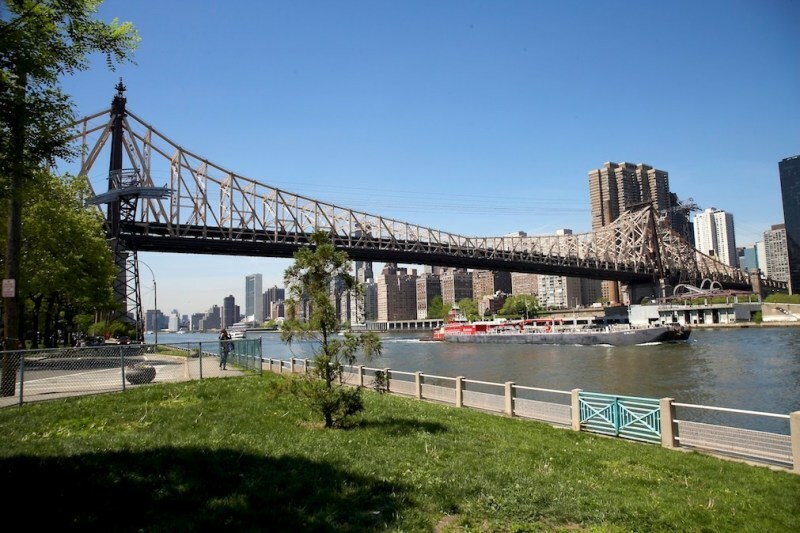 Roosevelt Island is accessible by tram way from Manhattan's 60th street and 2nd avenue, by car through a bridge on 36th avenue and Vernon Boulevard in Queens and one subway line, the F train. The ride on the tram makes all the sights and sounds of Manhattan easily accessible from Roosevelt Island. New York City’s transit card – the Metrocard can be used on the tram that links Manhattan and Roosevelt Island. 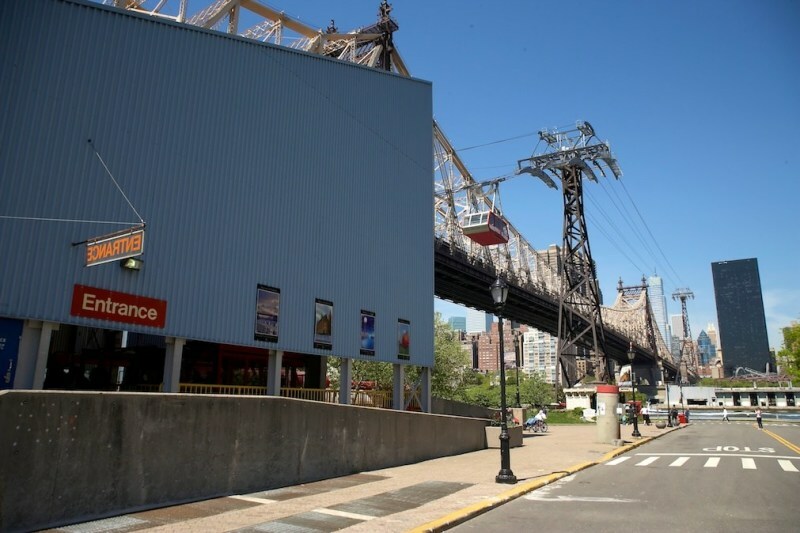 A shuttle bus service called the Octagon express which is operated by the Roosevelt Island Operating Cooperation provides public transport the island for the nominal charge of 25 cents a ride though the island is also connected to Queens via the Q102 bus service. The atmosphere on the island is reminiscent of a small town as the island has only one main drag appropriately called the Main Street. All shops and businesses are located on this street which is enclosed to protect residents from the elements. 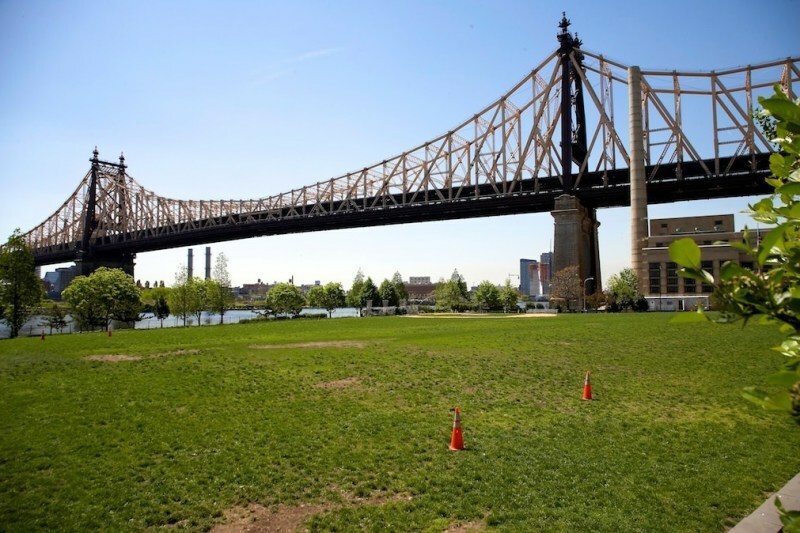 Dining options are severely limited as there are few restaurants on Roosevelt Island. A Gristedes mega shop is the only super market that is located on the island. 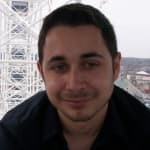 The lack of choice of dining and shopping options makes trips into Manhattan a necessity in fact the atmosphere on the island is rather desolate when compared to either Manhattan or Queens. 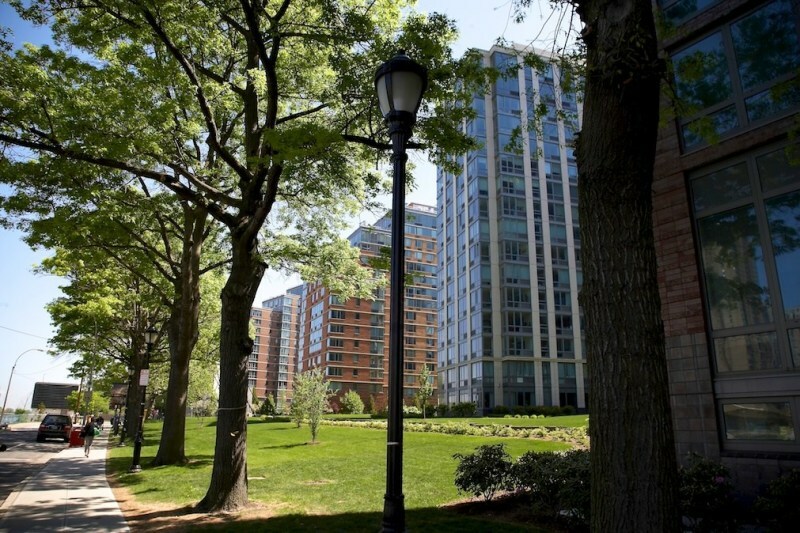 "Quiet and Safe May Not Last Forever"
Roosevelt Island is a quiet, safe, and beautiful residential neighborhood that offers great views, many spacious parks, historic landmarks, and limited traffic. The clean and secretive neighborhood is a 150-acre strip of land along the East River that is beginning to really get noticed. In the past, Roosevelt Island was known as Welfare Island and spent much of its time as a place for prisons and insane asylums. Prisons are now a thing of the past, and Starbucks is a thing of the future. The neighborhood is still growing and residents are feeling slightly congested and a bit over-crowded, but the neighborhood is still nothing like the rest of Manhattan. Here it is not uncommon to find a nine-building residential town with manicured lawns, sports fields, and some decent retail shopping. Pizza shops are moving in and real estate prices are ever-increasing. A three-bedroom is going for about $1.5 million and a one-bedroom is teetering around $600,000. Still affordable, yes, but not for long! If you’re a tourist, I’d imagine that the only possible scenario in which you’d find yourself here is if you accidentally took the train in the wrong direction (you have to be careful when getting on those trains – make sure you know which borough is where, as they are often used to gauge the trains’ directions. This island is pretty weird because it’s about two miles long, and 800 feet wide at its widest. It’s a residential island that basically sits underneath the Queensboro Bridge, which is interesting to see from the N train, but less interesting to see from the actual island, seeing as how you’d be stuck there with nothing to do.